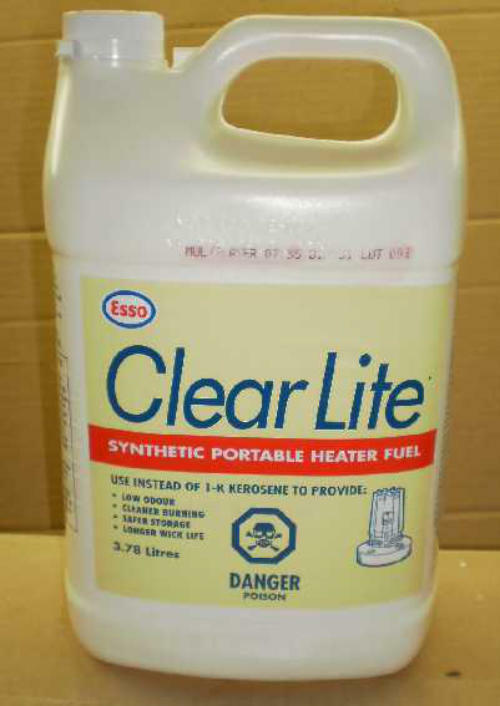 Esso Clear Lite Synthetic Portable Heater Fuel. Use instead of 1-K kerosene to provide low odour, cleaner burning, safer storage & longer wick life. Also suitable for outdoor oil lamps, tiki torches etc. Oil has a slight kerosene odour. Perfect for use in Patio & Garden (Tiki) torches, Portable Heaters, Outdoor Oil Lamps, & Lanterns. Add our Citronella Oil to keep the bugs away! We purchased several pallets so we can pass our savings on to you! Item # Size Price 14502 3.78 L $13.95 $9.50 (1 Gallon) CLEARANCE! Pyrex wick holders for oil lamps. Works with cotton or fiberglass wicks. Average length of shank is 3/4" except for the 1.25" diameter holders which are approximately 1 3/8" long (these are hand blown glass so measurements will vary). We recommend using our #7 Cotton Square Braid Wick in these holders. Made in British Columbia, Famous Worldwide! Check out their website here. For salad bowls & butcher blocks. Unscented. 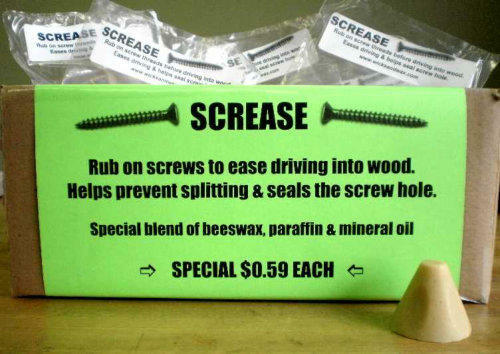 Rub this special blend of beeswax, paraffin wax & mineral oil on your screw threads for easy driving into wood. lubricating zippers, drawer slides, thread, and lots more. A must for every tool box! Bright Burning, Odourless, & Smokeless (if your oil lamp smokes adjust the wick lower). Suitable for outdoor oil lamps, tiki torches etc. Oil has a slight kerosene odour. 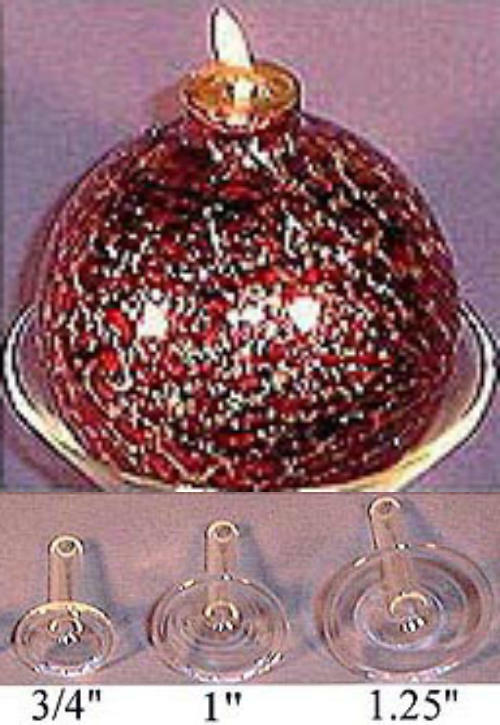 Pyrex wick holders for oil lamps. Works with cotton or fiberglass wicks. Average length of shank is 3/4" except for the 1.25" dia holders which are approximately 1 3/8" long (these are hand blown glass so measurements will vary). Made in British Columbia, Famous Worldwide! slides, thread, and lots more. A must for every tool box!